Don’t leave leak detection to chance! Making sure that your faucets, pipes, and other appliances that use water are in good shape is essential in order to prevent potential water damage. One of the best ways to determine if things are working the way that they should is by taking advantage of our leak detection services. At John’s Plumbing & Pumps, Inc, plumbers have the experience to quickly inspect the plumbing in your house in order to determine the location and severity of the leak. 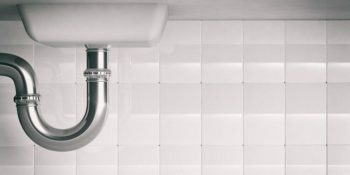 If you have a current plumbing problem, making sure that we detect leaks further on down the line can prevent you from having to pay for future repairs, and can also help prevent future leaks from occurring. Where do leaks usually develop? 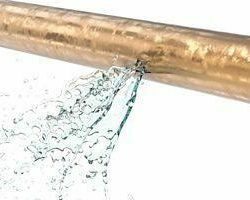 There are a few common areas where leaks develop, and if caught early, our team can save you thousands of dollars in water damage restoration costs. And by early, we mean within hours of the leak developing. We understand, however, that this isn’t always possible. We do our best to minimize the level of stress involved in dealing with leaky plumbing. Our team works efficiently to diagnose the issue and develop an action plan so you don’t have to wait around for solutions. Can’t I find a Plumbing Leak Myself? Leak detection is something that takes experience and skill, as most leaks are not immediately apparent. We have the latest leak detection methods and equipment in order to accurately report leaks within your home or business. By detecting leaks, we can prevent future water damage from happening and can get your plumbing back into working order. When Should I Call a Leak Detection Plumber? If you suspect that you have a leak, or if you just want the peace of mind of knowing that your plumbing is in good working order, contact John’s Plumbing & Pumps for our superior leak detection service. We offer this service at an extremely affordable price so that you don’t have to break the bank in order to know the leak status of your plumbing. We also provide our superior services with the highest level of customer service in order to help you understand what is happening and to answer any questions that you may have. So if your pipes have sprung a leak, or are worried that there might be one, contact us for our signature leak detection service. Every situation is different, so ensure that a leaky pipe doesn’t cause damage to your property, give us a call. We can help you diagnose the issue, estimate costs for inspection and repair, and offer recommendations for further leak prevention.